Solar Builder Mag | The Solar Foundation is partnering with the Clinton Foundation, major humanitarian organizations, and a wide range of solar energy companies to mount an industry-wide relief effort to help restore electricity in Puerto Rico and the U.S. Virgin Islands. The new effort, Solar Saves Lives, will organize deliveries of solar and solar + storage technologies to power critical infrastructure in disaster-impacted regions. These donations are being made at the request of governments in the region, and will be given directly to fulfill specific needs on the ground, as assessed by local officials and relief organizations. The effort launches with more than $5 million in solar equipment donations from more than 20 companies and organizations, including Sunrun, BayWa r.e. Solar Systems, the SunSpec Alliance, CAM Solar, Carolina Solar Energy, Solight, Renogy, Campervan HQ, and Prana Power, among many others. The equipment ranges from portable solar equipment such as lanterns and cell chargers, to larger equipment such as solar refrigeration units, solar water purification units, and equipment for large-scale solar installations. Several companies have also committed to monetary donations, including corporate matches, launching employee giving campaigns, and hosting fundraisers. Solar Saves Lives will coordinate transportation of solar equipment directly to affected areas, working with partners to coordinate shipping and distribution and ensure proper installation and service. 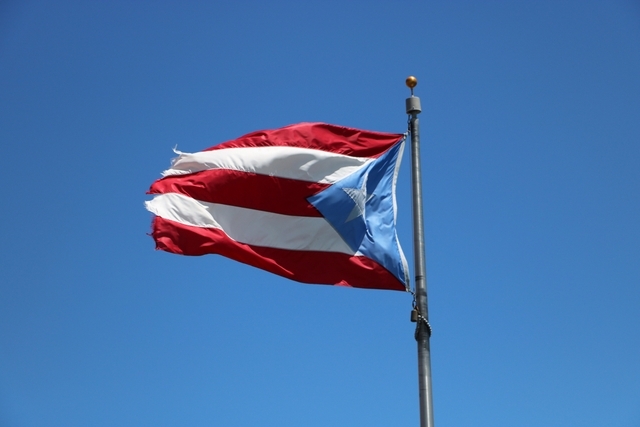 One immediate priority is to restore power in two food markets in the heart of San Juan, Puerto Rico, which provide a critical food source for vulnerable populations. A second priority will be 62 rural medical clinics in Puerto Rico — many of which remain closed due to lack of power after the storms. Solar Saves Lives is also prepared to respond to other areas of need, particularly around health and safety. The Solar Saves Lives effort solicits contributions from the solar industry, and the SolarSavesLives.org website also accepts donations from the general public, as both product donations and monetary donations are urgently needed. Among many other commitments, Sunrun is contributing approximately 25,000 pounds of solar equipment to help power food markets and medical centers. Solight is contributing 10,000 innovative solar lights that can be distributed throughout the affected areas for immediate relief. CAM Solar has pledged to raise $10,000 through a fundraiser with the nonprofit Good Party ATX. Items that are being sought most urgently include portable solar equipment, such as lanterns and cell chargers; containerized or cabinetized generations, such as solar refrigeration units, solar pumping units, and solar water purification units; and components for system installations including modules, inverters, battery banks, and charge controllers. Modular systems with storage that can be rapidly deployed are the most urgently needed.